Canine cognitive dysfunction, or CCD, is similar to Alzheimer's disease in humans, and it tends to appear in older dogs as the brain ages. 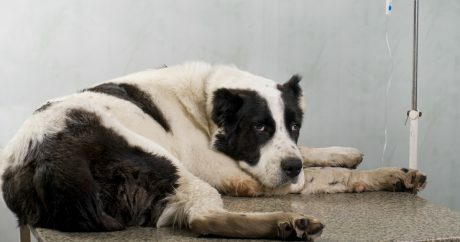 The symptoms can be heartbreaking, but there are ways to help treat your dog, make them comfortable, and improve their condition. 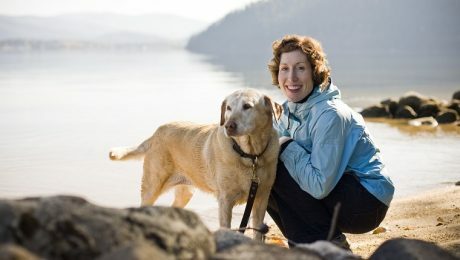 Once a month, visitors of the Alzheimer's Foundation of America's (AFA) Education and Resource Center get to bond with therapy dogs for a free session. Patients with Alzheimer's or other dementia-related illnesses take part and see great benefits. 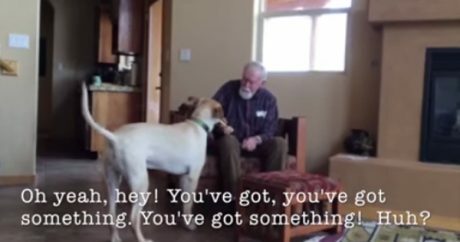 Video: A man ravaged by Alzheimer’s disease has been left without the ability to speak, but that doesn’t stop him from communicating with his daughter’s dog. 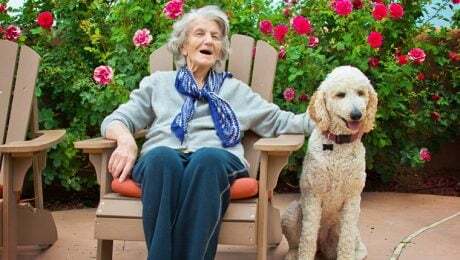 In addition to heart disease, diabetes, dental disease, and other illnesses, dogs can also develop Alzheimer’s, but there’s one disease at the root of all others.